The first few days of math class…an awkward time for both students and teacher. The kids haven’t picked up on my mannerisms yet, aren’t sure why I fly around the room like a maniac, and worse, they aren’t laughing at the jokes. I tend to use the first few days of any class seeing how far I can put my foot on the gas…what do my students understand? Where are there gaps? Who will I need to sit on during year? Without exception, I dedicate at least part of the 1st day with students at boards, shouting out review problems. The problems are strategically chosen to allow for initial success, dust off some cobwebs, provide for discussion when we hit some road blocks, and most importantly let students know that it will be perfectly acceptable to struggle in my class….as long as you keep trying. For day 2, I’m hoping the responses will provide a review of vocabulary (intercepts, roots, solutions, even rotational symmetry perhaps? ), and some table-setting for what’s to come. 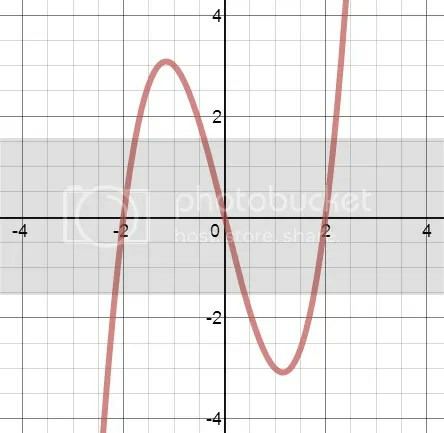 In our district, I can expect that Algebra 2 students will have a solid background in linear functions and basic polynomial operations, mostly limited to quadratics. Cubics for the most past have not been explored yet. And while polynomial multiplication and factoring are not new, rarely do students see polynomial division before algebra 2, so I will bring this into the discussion as a new idea. NOTE: our district uses the Everyday Math program in the early grades, which stresses partial quotients. Wondering how this will play when I attempt polynomial division…update may be coming! Starting algebra 2, students should be able to “read and recognize” the following polynomial patterns: difference of squares and perfect-square trinomials. But beyond this, I want students to be able to relate factored form to graphs, which often seems to be marginalized in the drive to practice process. So, one of my first lesson openers will be a short and sweet challenge. Does the following polynomial factor? In their teams (my students always sit in groups), I will provide some time for students to consider this problem, and observe their trials. I expect that will have a few groups attempt (x-2)^3, which will end badly, but hopefully lead to more trials. 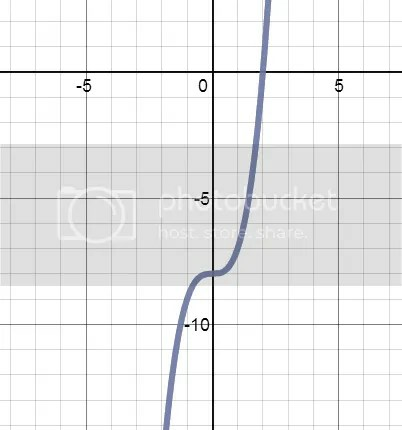 This graph has an x-intercept of 2. This means that x-2 is a factor. There are no other obvious intercepts, but we can employ long division here. So, x^3-8 DOES factor. Do other cubics factor? How? What patterns do we notice? Can we develop a general rule for factoring difference of cubes, and even sums of cubes? Guiding the discussion towards a generalization, without students feeling forced-fed, is part of the art of teaching. Hoping these first day discussions tie together lots of previous knowledge with a discovery moment. I am not sure how it will go, but I hope to set the table that nothing is given for free. Show me what you know!